The Alliance for Kurdish Rights is a joint campaign by Arabs and Kurds. Our grassroots approach doesn’t just illuminate Kurdish human rights abuses, but invites everyone to participate in the struggle themselves. Here’s how you can help. Social networking can turn into a global network for change. Post important stories about Kurds on your Facebook or Twitter, specifically reaching out to people who can pass the message along to a wide audience. On Twitter, use the hashtag #kurdishrights to tap into a whole group of people participating in the conversation about abuses against Kurdish rights. Keep up to date on the latest news and be sure to share it. Watch for news coming out of Iran, Turkey, Iraq and Syria. The media will take notice if it feels like we are taking notice. Follow us on twitter, @KurdishRights, and retweet anything you’d like to share with your followers. 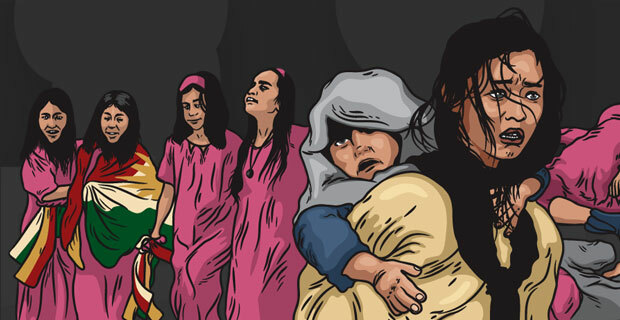 Add our banner to your site or blog to help spread awareness about recent Kurdish human rights abuses. Most human rights abuses against Kurds happen in Turkey, Iran, or Syria. When a story breaks out, write a letter directly to the Turkish, Iranian, or Syrian embassy closest to you. Keep an eye out for our “Call to Action” campaigns. Contact the Iranian or Turkish regimes directly to express your outrage and concern. Reach out towards international organization such as the United Nations or European Union when it is appropriate or needed. If you would like to contribute to KurdishRights.org, contact us with your information and a writing sample. How you can help is often dependent on the situation at hand. If you have an idea for a campaign or would just like to let us know your thoughts, get in touch with us.